Detector dogs to the rescue again! If you’ve read David Latimer‘s recent installment on detector dogs and their capabilities at being a good team members for pest management professionals (PMPs), then you might find this recent news interesting. According to research published earlier this week, UK scientists have helped train two dogs to detect malaria parasites, aided by the British organization Medical Detection Dogs. 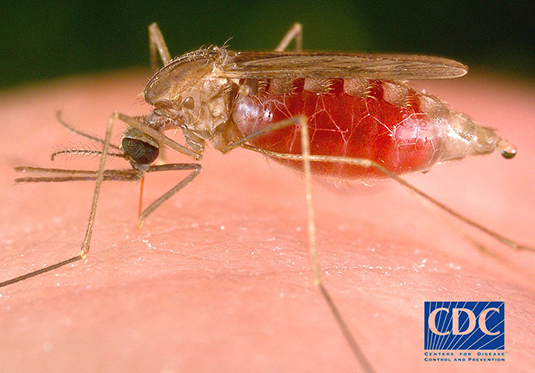 Malaria, transmitted by mosquitoes, causes those infected with the parasite to have a particular scent, Steve Lindsay, a public health entomologist at in the Department of Biosciences at Durham University and lead investigator on the study told CNN. In the recent study, dogs were able to accurately detect 70 percent of children with malaria and 90 percent of uninfected children. According to CNN, the researchers think these dogs will help in preventing the spread of the disease. The detector dogs are useful for detecting malaria with people showing no signs or symptoms. There were an estimated 216 million cases of malaria globally in 2016, including 445,000 deaths, according to the World Health Organization. The disease can be treated, but there is no preventive vaccine, according to CNN. BASF, Syngenta and Bayer are just a few of the companies who have recently made strides to help end malaria.